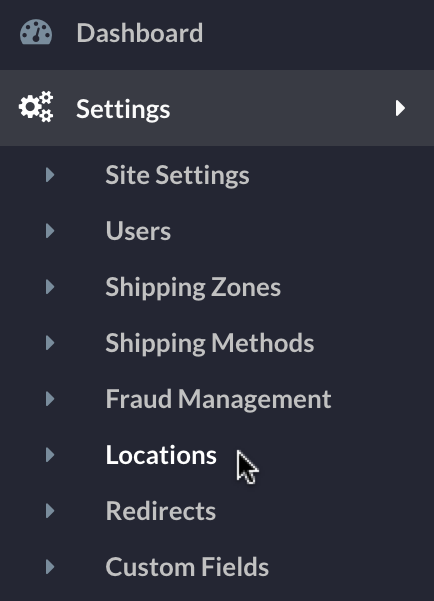 From the Locations Manager form you can set up and manage your locations (store, warehouse, office) and also set your Return Address and Tax Nexuses. 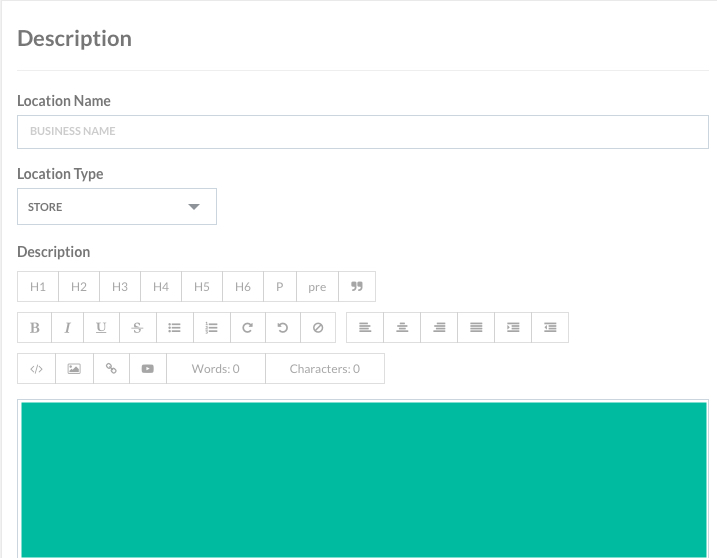 The Add Location form displays. Description: A brief description for your location. You can include HTML (with images of your store). Tax Nexus: Check if you want this location to be a Tax Nexus. 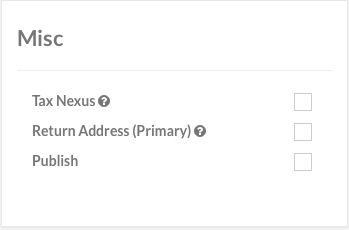 Return: Check if you want this location to be the default return address for customer returns. Note: At this time, only one location can be your default return address. Publish: Check if you want to publish this address. Address Line 1, City, State, Zip, State, Country: The street address for your location. Latitude / Longitude: Only enter these values if you want to override the auto-mapping tool.